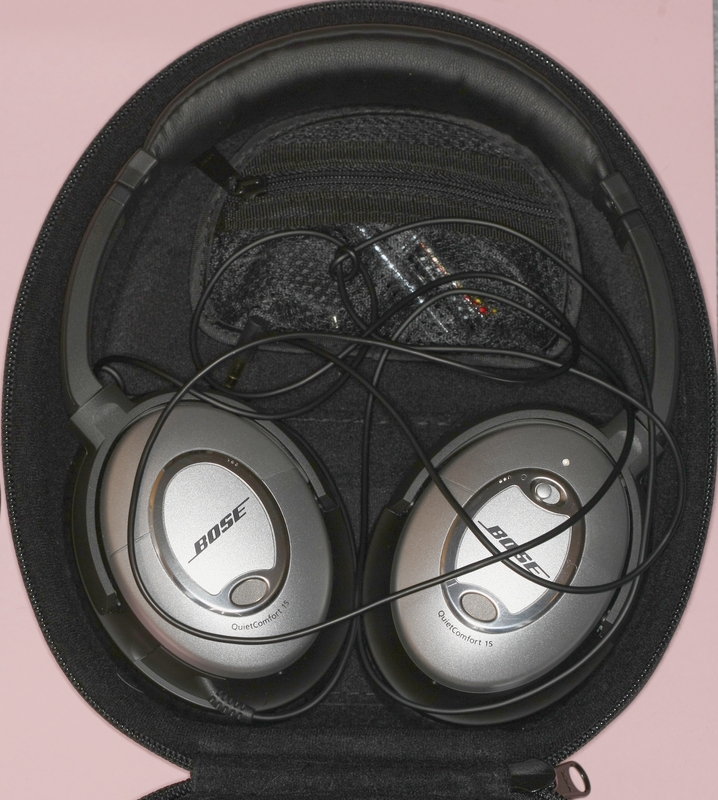 I currently carry a set of Bose Quiet Comfort 15 headphones. They are good quality, comfortable to wear, and the noise cancelling is among the best I have tested. They use AAA batteries, and have quite a thin cord. There are three problems: (1) The size/bulk. They are the biggest thing in my travel kit – taking up more volume than even my laptop (assuming you keep them in their box). (2) They are hard to sleep in, if you want to lean your head sideways. (3) They have a wire. Actually there is a (4) They need AAA batteries – ideally they would recharge from microUSB. I am now looking for a replacement. My previous headphones were Sony in-ear noise cancelling. These did not cancel so well, and were a bit uncomfortable in my ear canal. However they were very small. I am now looking around for some good Digital Noise Cancelling in-ear headphones and I will try them out. These look interesting: http://www.amazon.co.uk/Sony-MDRNC300D-Digital-Cancelling-Headphones/dp/B002QUZ3NG – I’d give a SONY link but their UK site needs a log-in and the US URL seems to change! This entry was posted in Audio, Candidate for Upgrade, Uncategorized and tagged Audio. Bookmark the permalink. Hey there! I actually delighted in reading your short article. Hope you create even more like this!